I feel that sewing is a form of craft, so here goes. 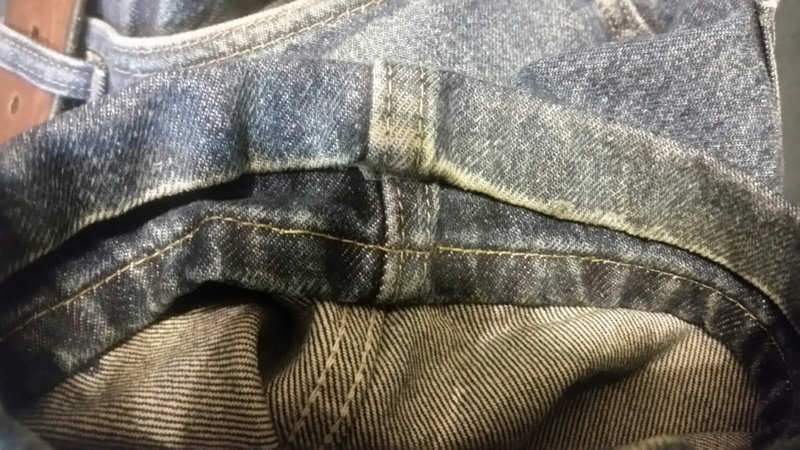 I have some jeans that I want to shorten the length of. I would like to do so without hemming. a waterproof adhesive, an instant glue, an iron on sizer (double-sided tape, activated by heat). Use your favorite search engine. Here we are in a NON_BOT environment. I'd imagine there may be more, but those are my top 3. I've "cheaped out" on occasion and just folded them in and up, sticking them into place with ordinary masking tape and ironing the pants at the fold afterwards. It's amazing how many washes the tape can go through before it needs to be replaced. Hemming tape is a smart and innovative way to hem your clothing or other fabric items without having to use a needle and thread. Wash your clothing item as directed on the care label. Avoid using fabric softeners in the washing machine or the dryer, as the adhesive may not stick as well to the material. Turn your clothing item inside out. Remove curtains or drapes and lay them flat, with the back side up. Hold the hemming tape up against the item that you need to hem. Cut off a sufficient amount to fully cover the inside of the hem. For large items, such as curtains, work in small sections. Iron the fabric to create a crease in the hem. Be sure to follow the care directions on the label of the fabric. Some fabrics are too delicate for an iron and their hems may require a seamstress or tailor. Remove the backing from the hemming tape. Handle the tape carefully so that it does not get wrinkled or tangled before applying it to the fabric. Place the hemming tape inside the fold that forms the hem. Make sure the rough edge is facing downward. The adhesive will act like a glue to hold the fabric pieces together. Follow the directions on the hemming packet and set the iron at the appropriate temperature. Place the iron onto the fabric and hold it there for a few seconds. Continue ironing all the sections until the material is bonded together. Turn the material right side out and again iron the hem area. Allow the section to cool and your article of clothing or curtain is ready to use. Not the answer you're looking for? Browse other questions tagged sewing clothing or ask your own question. How can I splice the tail of my tie and have it not look terrible? How do I keep ribbon ends from fraying? What are the pros and cons of wearing a robe vs a cloak (sleeves vs sleeveless)? How to make adjustments to a PVC raincoat? How can a repair a hole in my sheepskin jacket?